We,¿¿¿ Sai Udyog from 1998 are one of the famous manufacturers, suppliers, and exporters of an extensive array of Sugar Plant and Centrifugal Machines. Our offered range consists of best grade Sugar Plant, Lubrication System, and Gear Boxes. All offered ranges are designed under the direction of experts at well-equipped infrastructure unit. Due to their brilliant performance, dimensional accuracy, high efficiency, and crack resistance, offered product range is highly required. Apart from this, we are offering Fabrication and Heavy Forging Services to our valued clients. We have set up and maintained a state of the art infrastructure for the purpose of manufacturing best in class sugar plant and centrifugal machines. In addition to this, we use advanced methods in production. Further, our client-centric business approach has also helped us to work more proficiently, which has enabled us to establish a satisfied client base. Apart from this, our trading brands are Ecotech R&B and Alcoplanet. From the very first day, we are working under the headship of Mr. Gaurishankar Diwan. His deep market sincerity and hard work help us to offer the best quality collections to keep them happy and delighted. We have spacious state-of-the-art infrastructure that is well-facilitated with ultra-modern machines and equipment. Moreover, this also facilitates quality testing of our array of sugar plant and centrifugal machines, to make sure that these meet the industry quality standards. To work properly and high production, we have divided this infrastructure into many departments like manufacturing, quality control, logistics, and R & D.
Impeccable quality, long-term satisfactory performance and high efficiency are the hallmark features of every product offered by us. Our entire process is executed by a team of trained professionals having years of experience behind them. Our quality management policy, implemented under the guidance of our quality analysts, ensures a smooth production process as well as post-production process. Quality is one attribute of our sugar plant and centrifugal machines range that makes our clients choose our product over varied other products in the market. Our quality control department is headed by a team of quality experts from the domain. Apart from this, these experts understand the requirement of consistent quality in our machines and take vigilant measures for ensuring the same. 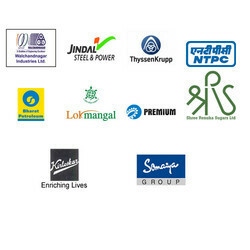 Jindal Steel Power and much more.